WDIV anchor and Havana 313 host Devin Scillian. 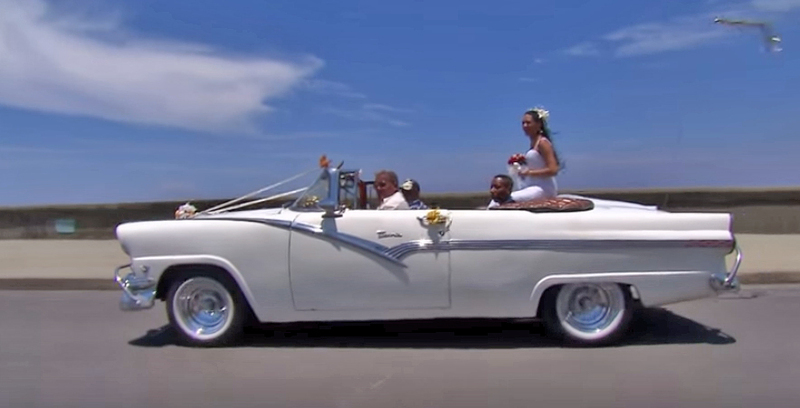 VOLUPTUOUS, PRE-1960 American cars are the obvious link between Detroit and Havana. One city built them, the other relies on them. But the Michigan and Cuban capitals share more than pontoon fenders and Dagmar bumpers. There's the architecture – classic, often crumbling, with flashes of contemporary. Made in Detroit. Driven daily in Havana. It follows, then, that as Cuba becomes more open to Americans, Detroiters might be better equipped than many of their fellow citizens in understanding and appreciating the island's largest city. Confirmation of this comes in Havana 313, an hour-long documentary produced by WDIV-TV, Detroit's "Local 4" NBC affiliate. 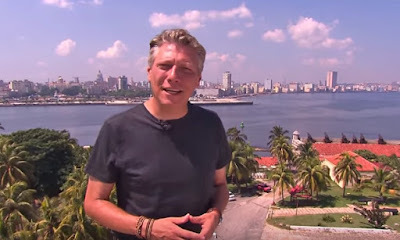 First airing in December 2015, Havana 313 (313 is the Detroit area code) is a thoughtful tour of the Cuban capital led by news anchor Devin Scillian. 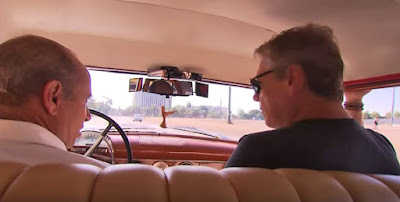 Cars, of course, are much of the focus, but the documentary also delves into culture and attitudes and even, briefly, the Santeria religion. Always, Scillian is even-handed. Cuba, a last bastion of communism, has been unable to achieve equality, he observes while walking through the scattered garbage and scavenging dogs of an overcrowded neighbourhood. Yet in the same breath he acknowledges that all Cubans have access to health care and education and, if not liberty, at least freedom from fears of gun violence. "I'll leave it to you to decide whose poor people are better off," he says. Scillian is a country musician and best-selling children's author as well as an award-winning journalist, but for a Detroiter he isn't much of a car guy (maybe because he's a Kansas transplant). His interviews, then, with Cuban drivers and mechanics lack the technical nitty-gritty some of us might wish for. Still, we can't help but enjoy his awe as he watches a shop fabricate a body panel for a '55 Chevy based on a drawing in a parts catalogue. "You're basically running your own factory, your own assembly line .. that's insane," he tells the garage owner. For viewers, a thoughtful tour of the Cuban capital. With scheduled air service resuming between the United States and Cuba after 55 years, more American camera crews will surely follow the WDIV-TV team to Havana. They too will exclaim over the cars and art and music and seek to measure Cuban life against their own. But it's hard to imagine them getting Cuba like Detroiters get Cuba.